Genesis Alien 3 in 27:50.2 by maTO. 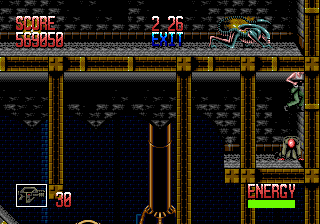 Alien 3 is a platform video game based on the 1992 film of the same name. The game was released for the Sega Genesis and Amiga in 1992. Additional versions were released in 1993. Each version except the Game Boy version was developed by Probe Software.